...rolling everywhere on my new playmat! 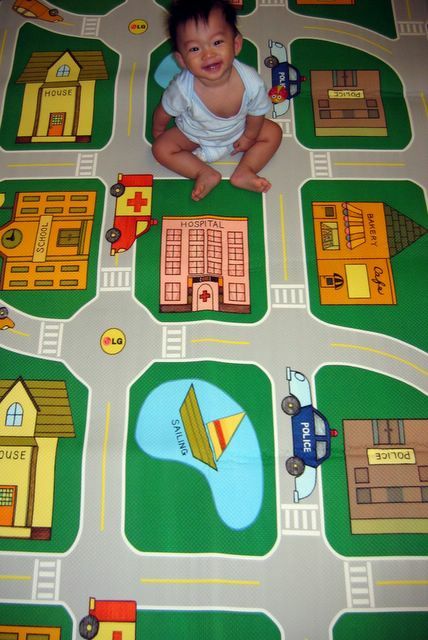 You can also flip the mat over the other side, where it is a downtown map with roads and houses. Where did you get this mat? I bought a similar one a few montha ago. Think it's from LG too. How much hah? I bought it at $120. Quite useful. Thinking of buying another one for my house. 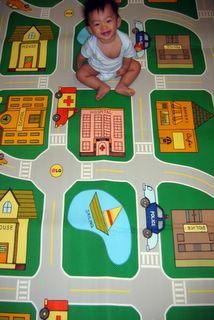 I got the mat from www.smallsmallworld.com last time when there was a bulk purchase with other mummies. Paid abt $157 after a 15% discount. Think it's slightly more ex cos it's dual sided. hi Rachel , where did u get your playmat from ? Thks~!